The acting legend (and father of Michael Douglas) crossed the century mark on December 9, 2016. 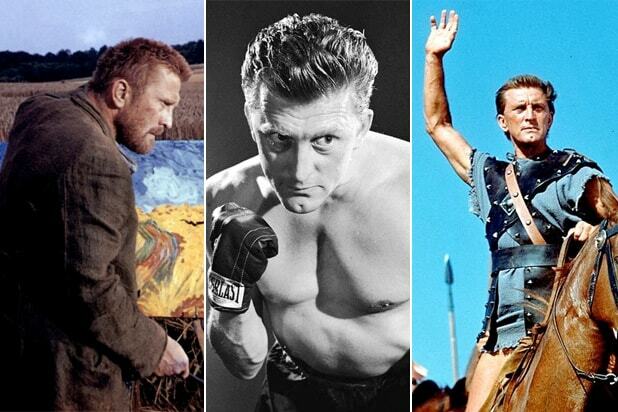 Here's a look back at his biggest roles in Hollywood. 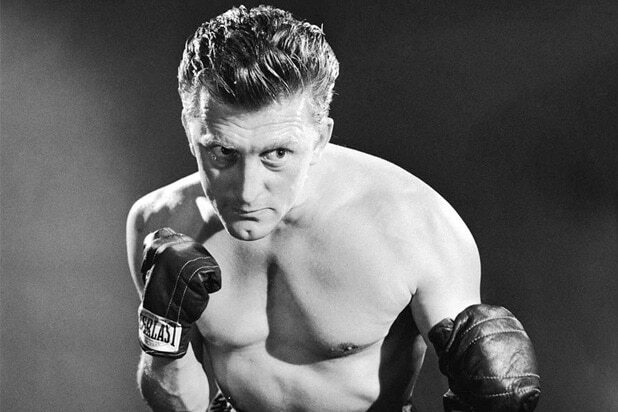 Champion (1949) Douglas earned his first Oscar nomination for playing the dogged boxer Midge Kelly in a black-and-white drama written by Carl Foreman ("High Noon"). Ace in the Hole (1950) In one of Billy Wilder's most cynical dramas, Douglas plays a ruthless journalist who exploits a mining disaster -- even sabotaging rescue efforts -- to prolong the media frenzy. The Bad and the Beautiful (1951) He earned his second Oscar nomination playing another cad -- this time a power-obsessed Hollywood producer said to be modeled on David O. Selznick. Lust for Life (1956) In a departure from his cynical big-screen roles, Douglas brought real sympathy to his portrayal of tortured artist Vincent Van Gogh in Vincente Minnelli's biopic -- and the actor earned his third Oscar nomination for Best Actor. Gunfight at the O.K. Corral (1957) Douglas plays outlaw Doc Holliday to Burt Lancaster's lawman Wyatt Earp in John Sturges' classic Western about the famed shootout in Tombstone, Arizona. Paths of Glory (1957) Again playing against type in Stanley Kubrick's antiwar movie, Douglas brims with decency as a French colonel in World War I who fights against an unfair court martial of his men. Spartacus (1960) Douglas hit a career high as a rebellious Roman slave in this historical drama whose onscreen revolt had a real-life parallel. The actor also produced the blockbuster film and his very public hiring of screenwriter Dalton Trumbo helped to break Hollywood's blacklist of Communists. Lonely Are the Brave (1962) Douglas counted this Dalton Trumbo-penned Western as his personal favorite, and he gave a memorable performance as a New Mexico cowboy who was more of a drifter than a guy rooted in the land. Seven Days in May (1964) In John Frankenheimer's political thriller, Douglas plays a longtime military officer who begins to suspect that his nuke-obsessed general boss (Burt Lancaster) may be plotting to overthrow the president. The Man From Snowy River (1982) Douglas plays twin brothers -- a one-legged gold prospector and a wealthy cattle rancher -- in George Miller's coming-of-age drama about a ranch hand in 1880s Australia.